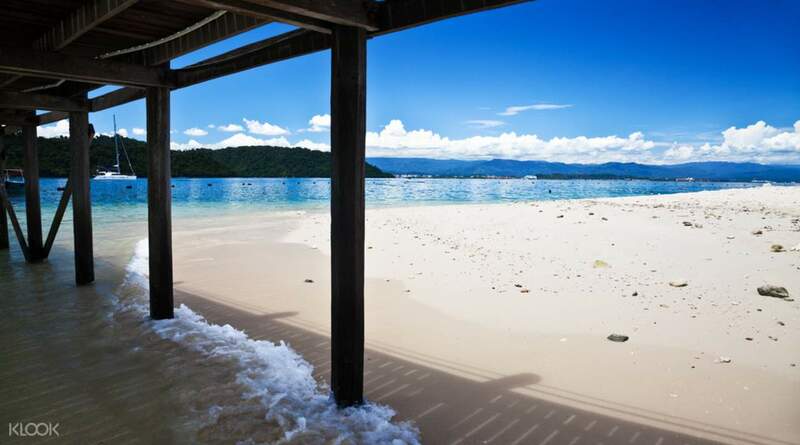 Journey to Malaysia's two beautiful islands: Sapi and Manukan. 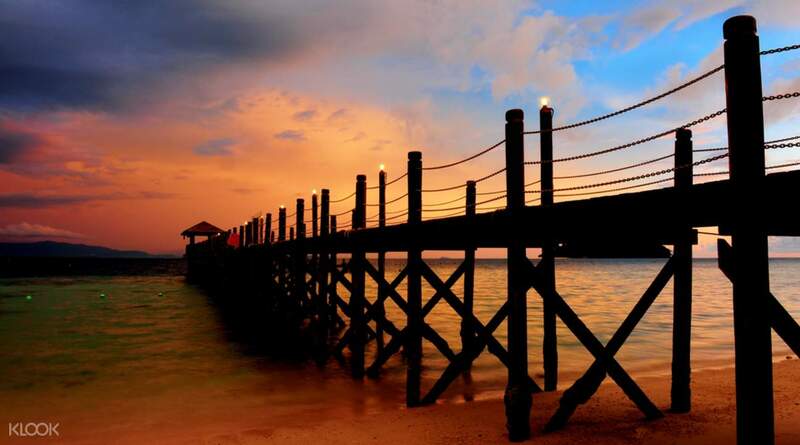 First, take a boat to Manukan Island for its crystal clear turquoise seas and vivid greenery. The island is ready to welcome you with arranged recreational facilities: picnic zones, changing rooms, tables and more – so you can enjoy the water and white sandy beach in full. 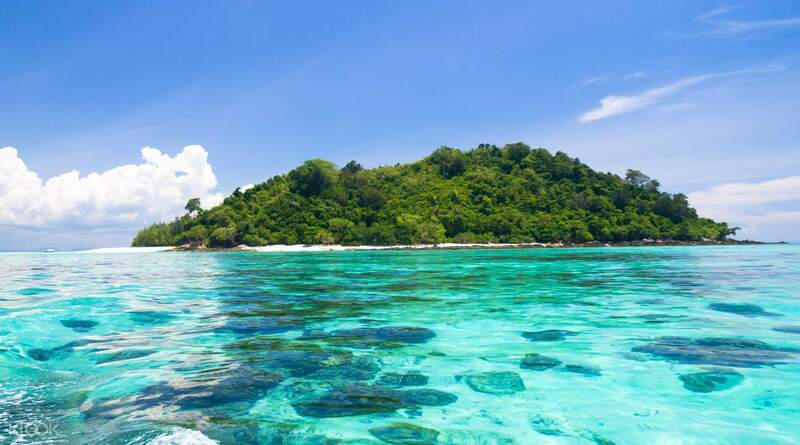 After a delightful barbecue lunch, head over to Sapi Island where you will have loads of free time to enjoy kayaking, ride a banana boat, go jet skiing and more. 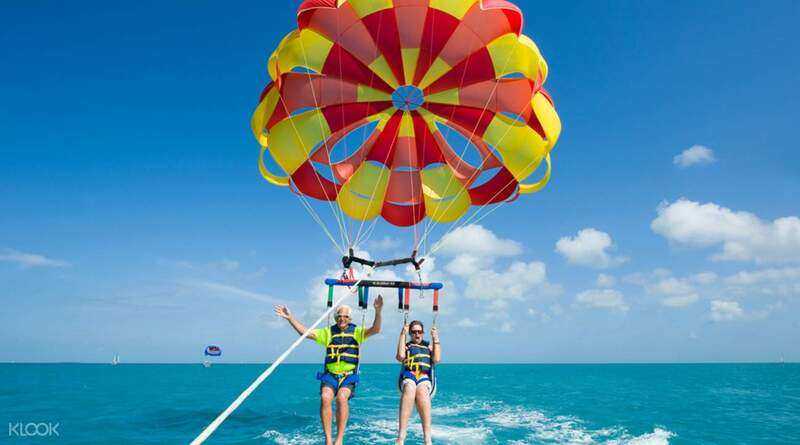 If you are looking for a safe way to explore the underwater world, try Sea Walking, a new sport that allows you to explore the ocean without the need for scuba diving classes. Great experience as we had been given plenty 2 hours for each Manukan & Sapi island. Its good enough to swim, take photos and seei g the surrounding. Beautiful island especially Manukan, and we would come again for a stay next time. Lunch meal were normal, even though seafood, but they could have done it nicely and better for the taste. Booking via Klook such an easy and worth experience, but a bit frustrated that the driver asked us to go back by Grab and we were given RM10 for that. Supposingly he should sent us back to our Hotel. Great experience as we had been given plenty 2 hours for each Manukan & Sapi island. Its good enough to swim, take photos and seei g the surrounding. Beautiful island especially Manukan, and we would come again for a stay next time. Lunch meal were normal, even though seafood, but they could have done it nicely and better for the taste. Booking via Klook such an easy and worth experience, but a bit frustrated that the driver asked us to go back by Grab and we were given RM10 for that. Supposingly he should sent us back to our Hotel. Pick-up was timely although the car was a bit cramped. Anyway, it was only maybe 3-minute drive to the jesselton port where you wait for the boat transfers. We waited at least 30mins for the others since they have a small car to pick-up more than 10 tourists. The ferry ride to the first island took only about 10mins. Manukan island had a nice beach with clear water with some fish. I’d skip swimming here next time though because I got plenty of sea lice bites. There are also plenty of sea urchin here so better be careful where you step. I had more fun in Sapi island where the water was nicer and there waren’t any sea lice. If you go farther from the shore, there are lots of fish just swimming around you. The buffet lunch here was also hearty. I had platefuls of grilled seafood and meat cooked the local way. Snorkeling gears and life vests are provided. Props to ate Ellen who was very friendly and shared interesting stories on here life in the island. Pick-up was timely although the car was a bit cramped. Anyway, it was only maybe 3-minute drive to the jesselton port where you wait for the boat transfers. We waited at least 30mins for the others since they have a small car to pick-up more than 10 tourists. The ferry ride to the first island took only about 10mins. Manukan island had a nice beach with clear water with some fish. I’d skip swimming here next time though because I got plenty of sea lice bites. There are also plenty of sea urchin here so better be careful where you step. I had more fun in Sapi island where the water was nicer and there waren’t any sea lice. If you go farther from the shore, there are lots of fish just swimming around you. The buffet lunch here was also hearty. I had platefuls of grilled seafood and meat cooked the local way. Snorkeling gears and life vests are provided. Props to ate Ellen who was very friendly and shared interesting stories on here life in the island. AMAZING ISLANDS OF KOTA! ☺️☺️☺️☺️ I really enjoy our boat ride and the scenic view of the beach. Our tour guide is okay he is very accommodating and there were lots of filipino people on their country! Also the Malays know how to speak in Tagalog. I will definitely travel again to Kota. AMAZING ISLANDS OF KOTA! ☺️☺️☺️☺️ I really enjoy our boat ride and the scenic view of the beach. Our tour guide is okay he is very accommodating and there were lots of filipino people on their country! Also the Malays know how to speak in Tagalog. I will definitely travel again to Kota. The tour guide, Mr Ah Ping, was great. He was very friendly and doing excellent jobs from pick-up, transport and transfers, island activities and equipments. Time control was good so everyone could enjoy as much during the whole trip. The tour guide, Mr Ah Ping, was great. He was very friendly and doing excellent jobs from pick-up, transport and transfers, island activities and equipments. Time control was good so everyone could enjoy as much during the whole trip. The islands were beautiful and our tour guide was nice and friendly. We also had sumptious lunch at Sapi Island. Thanks Klook! The islands were beautiful and our tour guide was nice and friendly. We also had sumptious lunch at Sapi Island. Thanks Klook! This tour was great. Our guide was kind and always ensure that we are enjoying the trip. Buffet was also great! Highly recommended. This tour was great. Our guide was kind and always ensure that we are enjoying the trip. Buffet was also great! Highly recommended.